Dying Light releases on PC on January 27th, and on that date there will be a small change to your previously scheduled launch. Where once the game’s asynchronous ‘Be the Zombie’ multiplayer mode was a pre-order bonus reserved only for those with enough interest to buy the game before release, it’s now available to one and all, no matter when you slap down the cash. The ‘Be the Zombie’ mode allows you to do just that; although it’s actually one of Dying Light’s terrifying Night Hunter zombies that you’ll be controlling. With his rotting flesh you’ll be able to prowl around other people’s game worlds and strike out at them. Think Watch Dogs’ Invasion modes, but with slightly more shrieking. If you’ve pre-ordered a physical edition, you’ll be picking up two free pieces of DLC now: Cuisine & Cargo and Ultimate Survivor. 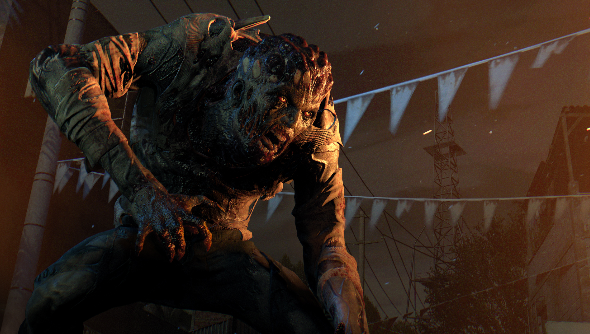 Those without a pre-order will find Dying Light available on Steam from January 27th.